Before Combat Seoni casts displacement, mage armor, and extended shield (using her metamagic adept ability) before the start of the encounter. 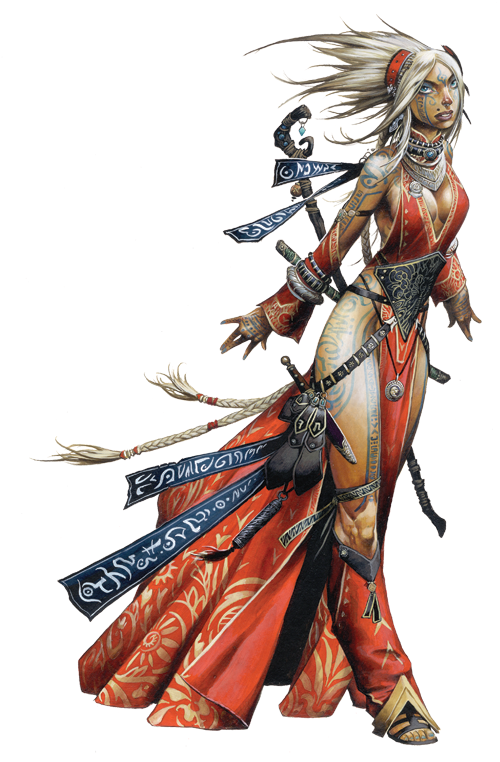 During Combat In combat, Seoni serves as artillery from range, blasting foes with chain lightning, cone of cold, and scorching ray; supports her allies with spells such as haste and enlarge person; and controls the battlefield with walls of force and fire, web, and darkness. Without mage armor and shield, Seoni's statistics are AC 23, touch 19, flat-footed 19.